The Dawn coupon has reset! Print it two more times. 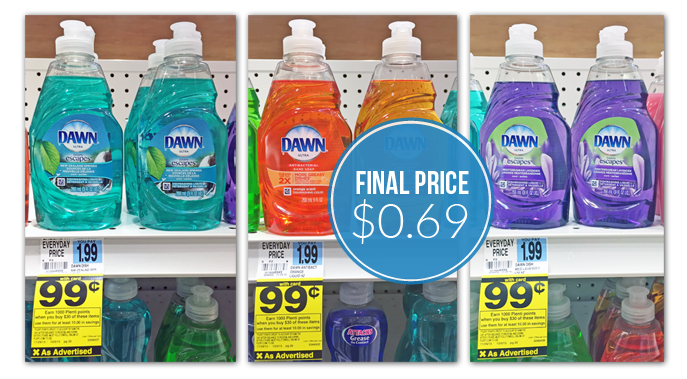 This week at Rite Aid, Dawn Dish Soap is on sale for $0.99. 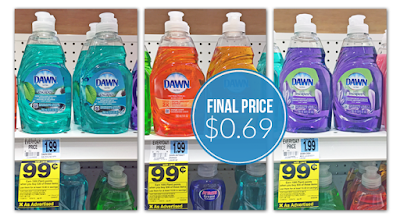 Buy one nine-ounce bottle and use one $0.30/1 printable manufacturer coupon for a final price of $0.69! Don't forget that you can print two coupons per computer!!!! Also, remember that Dawn is part of a Plenti Points promotion this week: spend $30.00 and receive 1,000 Plenti Points.